How Can Governments and Businesses Collaborate toward Achieving the SDGs? This year is the third year of implementation of the Sustainable Development Goals (SDGs). Various actors such as governments and businesses have already made some progress on the SDGs. One of the lessons learned from implementing the Millennium Development Goals from 2001 to 2015 was that a single sector approach was unable to achieve the goals as it left behind some social groups and the environment continued to deteriorate. For the SDGs, how can actors move from a silo-approach to effective collaboration and coordination? This session will bring together government officials and business representatives from across Asia for discussions on how best to work towards achieving the SDGs. The session will introduce key concepts for effective integration and collaboration on SDG implementation, and good practice cases of Japanese businesses working on SDGs will also be shared based on a recent IGES publication. Consolidating inputs from governments, multilateral corporations and UN institutions, this session will explore issues including possible areas of collaboration, suitable institutional arrangements, engagement of other actors, as well as other issues that require specific attention for enhancing cooperation in order to accelerate delivery of the SDGs. Nobue Amanuma joined IGES in 2017. Previously, she was involved in the sustainable development process of Asia and the Pacific at the United Nations Economic and Social Commission for Asia and the Pacific. In the process for the 2030 Agenda for Sustainable Development, she supported the engagement of civil society and other stakeholders in regional discussions. She also contributed to analytical work on integration of economic, social and environmental dimensions of sustainable development and governance for the region’s policymakers. Her research interests include the social dimension of environmental sustainability and governance for sustainable development. She holds a Master of International Development from the University of Pittsburgh and has research and operational experience in international development. 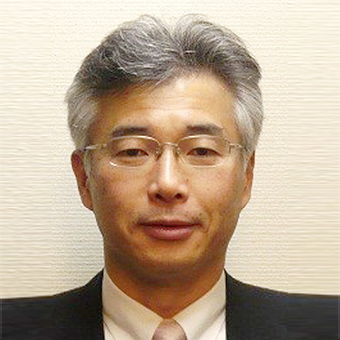 Since the Rio+20 preparatory meeting in 2012, Shinji Onoda has participated in SDGs related negotiations, the UN General Assembly and the High Level Political Forum (HLPF) and wrote many papers and articles based on those experiences, which includes "SDGs and Business for the Future – Actions by private companies in Japan" (co-authored, 2018), "SDGs formulation background and latest trends - focused on follow-up and review for implementation" (2016) "Gigaton Gap - Climate Change and International Negotiations" (co-edited, 2015). 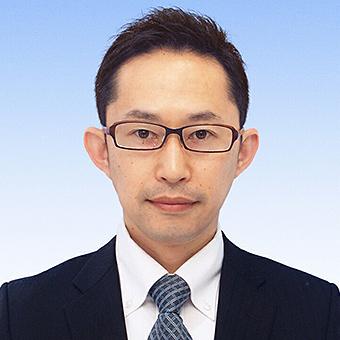 He also serves as a visiting researcher at the Japan Center for Sustainable Environment and Society and a part-time lecturer at the Kanagawa Institute of Technology. Graduating from The University of Tokyo, Faculty of Law, Tokutaro Nakai entered Ministry of Finance in 1985. Mainly working at Budget Bureau, he moved to work at Toyama prefectural office. During his work in Toyama, he also helped to promote studies on Japan Sea. After that, he served several prominent positions such as Director at Public Relations, Financial Bureau planning officer, a Budget Examiner in charge of budget of Ministry of Agriculture, Forestry and Fisheries. He was transferred to Ministry of the Environment in July 2011. He also held several eminenet positions such as Director at Environmental Policy Bureau, Policy Planning Division, Director at Budget and Accounting Division, Minister’s Secretariat, Director at Personnel Division, Minister’s Secretariat, and Director-General at Waste Management and Recycling Department. He has been in the current position since July, 2017. President & Representative Director, DSM Japan K.K. 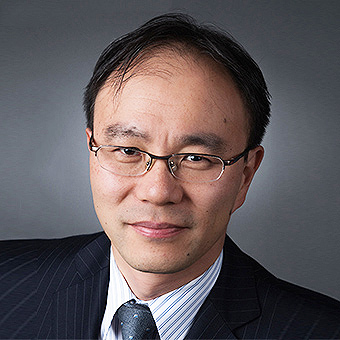 Yuji Nakahara holds a Bachelor and Masters degree in Chemical Engineering from the University of Tokyo, MBA from Johnson Graduate School of Management, Cornell University, and Executive Education ELPⅢ from Wharton School of the University of Pennyslvania. He is currently the President and Representative Director of DSM Japan K.K., being responsible for all DSM operations in Japan. He also sits on board seats of DSM affiliated joint ventures in Japan. Previous to this role, he held positions in the Netherlands and Switzerland. He is on the Advisory Board of Catalyst Japan, a nonprofit organization accelerating progress for women through workplace inclusion. He is also an Advisory Board Member of the G-20Y Association, as well as the Program Committee Member charing the Global Demographic Developments Committee. Before joining Royal DSM, he was a Partner at McKinsey & Company and previously, a chemical engineer at JGC Corporation, a leading Japanese plant engineering contractor. 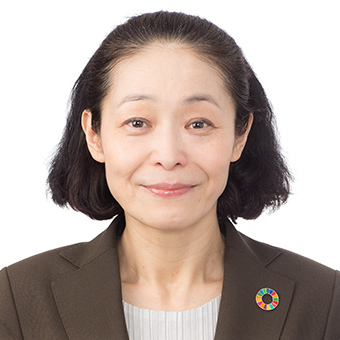 Since joining JICA in 1989, Akiko ODA has been assigned in Formulation, Monitoring, and Evaluation of International Cooperation Programs/Projects in Latin America and the Caribbean Region (1991-2015), including Resident Representative of Overseas Office (Dominican Republic, 2013-2015). She also has four years experience as an official of the Ministry of Agriculture, Forestry, and Fisheries (MAFF, 1997-1999) / Gender Equality Bureau, Cabinet Office (2004-2006) of Japanese Government. She was assigned to the current position, Senior Director for SDGs Mainstreaming, in September 2017. Dechen Tsering was appointed as the regional director of UN Environment in Asia and the Pacific in March 2017. As the regional arm of UN Environment, headquartered in Nairobi, Kenya, the Asia-Pacific office works with governments, local authorities and the private sector to develop and put into place cleaner and safer policies and strategies that encourage the efficient use of natural resources and reduce risks for humans and the environment. 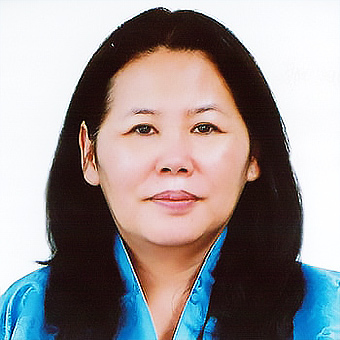 Ms Tsering has held management and leadership positions with the United Nations and has over 25 years of experience in national government and intergovernmental organisations. She has been actively involved in intergovernmental negotiations as a key negotiator for least-developed countries and contributed to the establishment of the Least Developed Countries Fund and the Least Developed Countries Expert Group. She also has experience in the management of complex development projects. She comes to UN Environment from the United Nations Framework Convention on Climate Change secretariat, where she served as director of the Finance, Technology and Capacity-building Programme. In that position, she supported international co-operation on mobilisation of finance, technology development and transfer, and capacity building to enable countries to take enhanced action on climate change. Prior to that position, she was the deputy regional director of UN Environment in Asia and the Pacific. 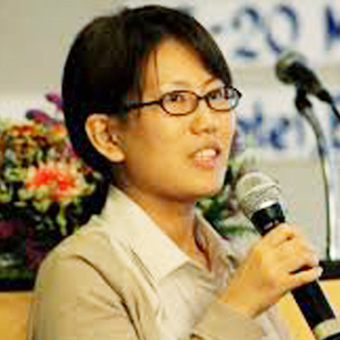 She holds a Ph.D. in forest economics and policy from the Federal Institute of Technology, Zurich. She also has a Master’s degree from Georgetown University and undergraduate degrees from the University of California, Berkeley. 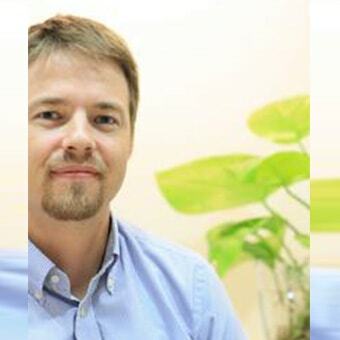 Simon Olsen is currently based in Japan, where he works as a senior policy researcher for IGES. Since 2010 he has researched and published papers on environmental governance, as well as institution building for cooperation on environment and sustainable development, both globally and regionally for Asia and the Pacific. He was a contributing author to UNEP’s Fifth Global Environmental Outlook Asia-Pacific. Prior to working with IGES he spent three years working for the UN Economic and Social Commission for Asia and the Pacific. There he was granted the opportunity to undertake capacity building on Green Growth policy tools. During that time he also helped draft Cambodia’s National Green Growth Roadmap. He was actively involved in the processes leading up to the Rio+20 conference, proposing measures to strengthen international environmental governance as well as the institutional framework for sustainable development. He is now heavily involved in several research initiatives on the Sustainable Development Goals (SDGs). Simon is interested in culture and languages. He has a Masters Degree in Southeast Asian Studies from University of Copenhagen and is pursuing post-graduate studies on a part-time basis.